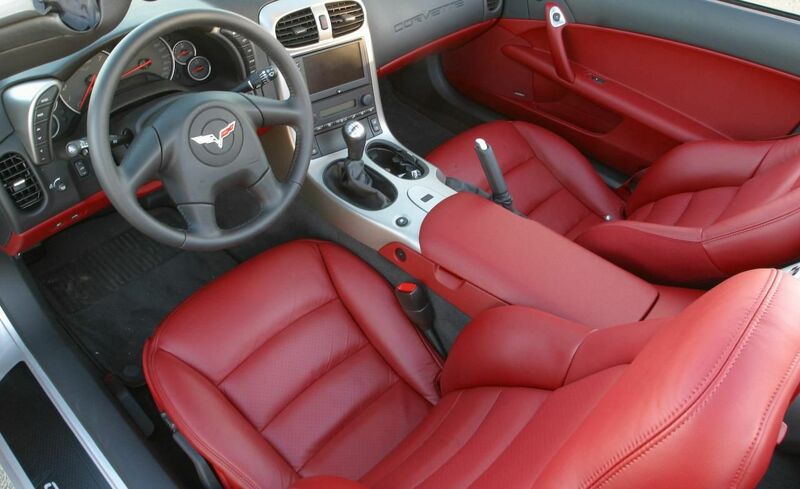 2005 was the beginning of the fifth generation of Corvettes, C6. With this generation, Chevrolet looked to refine the previous C5 models instead of completely redesigning a new model. 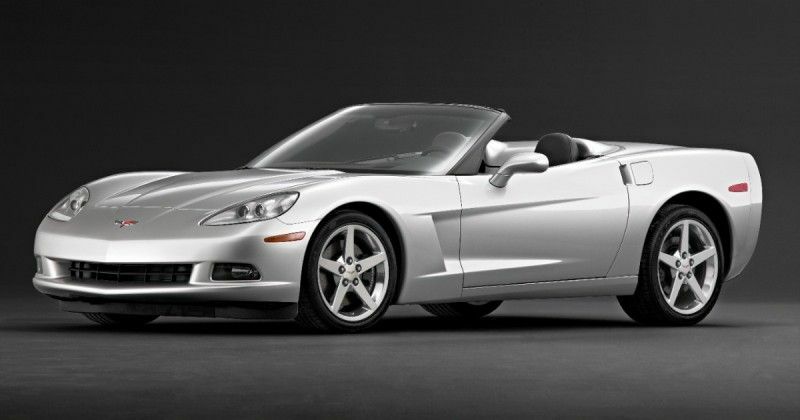 Regardless of the methods used, GM announced the 2005 Chevrolet Corvette as an all new model. However, various press agencies that cover the automotive industry quickly caught on to the fact that many of the parts from the 2004 line matched up with the 2005 Corvettes. Here is a closer look at the 2005 Chevrolet Corvette. With the negative publicity surrounding the new C6 Corvette model, GM made a few changes that helped to bring the 2005 Chevrolet Corvette back into favor with the press. To begin with, they changed the body profile by reducing the outward dimensions with reduced body overhangs. This made the appearance of the 2005 Corvette more aggressive. The next noticeable change was the headlights. Instead of the traditional pop-up headlights, the C6 featured fixed headlights. While this gave the new model a sportier appearance, it also removed potential quality problems by removing additional parts. Many Corvette enthusiasts disliked the fact that the traditional hidden headlight look was now a thing of the past. The biggest changes, however, was to the inside. Passengers in the C6 Corvettes enjoyed slightly increased hip room. This, combined with an interior that presented better quality and sophistication, was an improvement over the previous models. New seats were more comfortable than the previous model and did a better job of holding the driver in place. The dash was also redesigned with a trio of materials that included vinyl, aluminum, and textured plastic. The 2005 Chevrolet Corvette would also be the very first Corvette to have a navigation system and heated seats as options. Push Button start and keyless entry are standard. The new electric door latches are operated by the push of a button, completely removing the interior door handles. 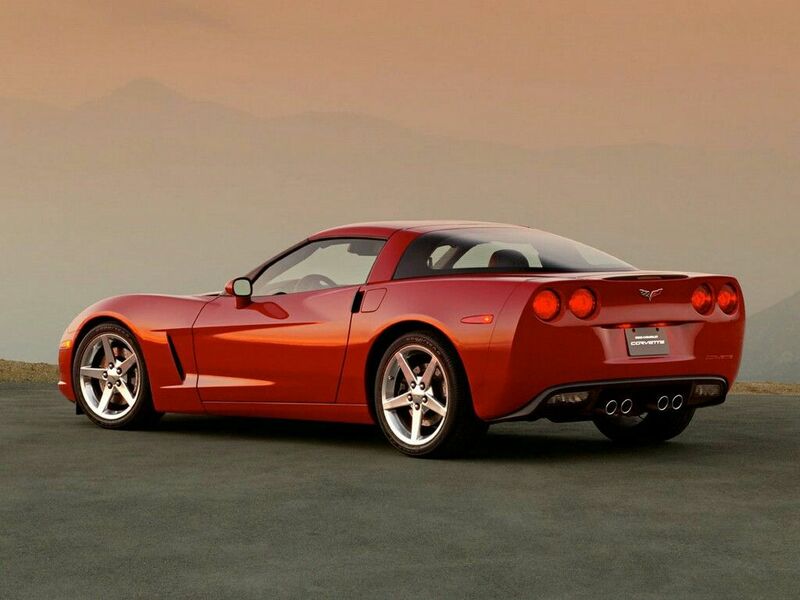 Under the hood, Corvette lovers got to enjoy a larger and more powerful engine with the LS2. While not as powerful as the LS6, it did provide an additional 50 horsepower over its predecessor, the LS1. The LS2 had a higher displacement of 6.0 liters and was 364 cubic inches. Along with a bump in horsepower, the LS2 also provided 400 lb.ft. of torque which gave the 2005 Chevrolet Corvette a 0-60 time of fewer than 4.2 seconds. For top speed, drivers of the C6 Corvettes got nearly 200 mph (190) of exhilaration. As a result of this added power, Corvette saw a reduction in fuel economy. Corvettes equipped with either the automatic and the standard transmission had relatively the same fuel economy of 16 mpg in the city and 26 mpg on the highway. Thanks to CAGS, Computer Aided Gear Selection, which has been found on all manual transmission Corvettes since 1989, the C6 was able to dodge the Gas Guzzler Tax. In low-speed and low-throttle driving conditions, CAGS would have driver’s shift directly from 1st gear to 4th to help improve fuel economy. 2005 Corvettes were available in two models, the convertible and the base coupe. While a sportier and more powerful Z51 was released in late 2005, it was actually marketed as a 2006 model. Two optional packages were also available for the base coupe, a roof package, and a performance package. The roof package included a one piece removable roof panel that could be had in either the same body color as the car or transparent. As the name suggests, the performance package included upgrades to various components of the Corvette. Engine oil cooler, stiffer suspension springs, power steering cooler, and transmission cooler are just a few of the options a buyer could choose from. The convertible option had the same features and options as the base model with three colors available for the convertible top, black, beige, or gray. Consumers could also get the optional performance package as with the base model that offered the same upgrades to various components. UsedCorvettesForSale.com. If you are looking to get your hands on your own Corvette, then you should check out this site. You can search for Corvettes by specific years, generation, and even body style. CorvetteForum.com. Have specific questions regarding your Corvette? Take a look a the forums on CorvetteForum.com. There are answers for just about any question imaginable and if you can’t find the answer you are looking for, you can ask those with plenty of experience to help you out. CorvetteCental.com. For those in the process of restoring their 2005 Corvette or simply looking to find original parts to maintain it, corvettecentral.com has parts for all generations of the historic Corvette as well as plenty of information regarding this model. If you haven’t looked around at all of the aftermarket parts and accessories that are available for C6 Corvettes, you are missing out. Just about any feature, gadget, modification or performance part, you can imagine is available for this model. A simple internet search will instantly connect you to vendors in this huge market that can help you get whatever you are looking for. The initial C6 models, the 2005 Chevrolet Corvette, might have had some minor controversy in its initial stages, but no one can argue that this car will join its ancestors as an automotive classic. The previous C5’s were great, the C6’s simply perfected the design. Controversy or not, GM did the right thing by not changing the good and improving the weak areas.